In collaboration with the HIV-SAM project of ITM, Ipropeller, and Clarice illustrations, members of Muungano association co-created a brochure entitled “ Understanding HIV in order to live well with it”. The distinguishing mark of this brochure is that it has been created by people living with HIV themselves. “Cet brochure est notre histoire” remarked on participant. Muungano members wanted to respond to the felt need of other migrants living with HIV to have a communication tool that is adapted to their capacities and that respond to their questions. Going beyond cultural and linguistic differences, members of Muungano participated in promoting good collaboration between HIV professionals (doctors, nurses, psychologists and counsellors… ) and people living with HIV. Representing others, one participant remarked: “Cet brochure va aider beaucoup des personnes vivant dans la peur de pouvoir s’en sortir, parce qu’elle montre que quand on suit bien son traitement on peut vivre normalement tout comme les personnes séronégatives”. 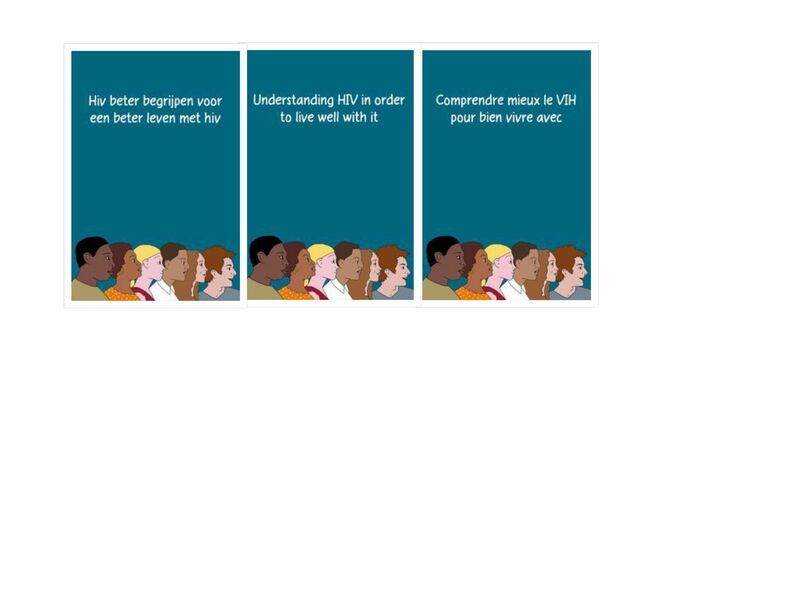 The brochure will be translated in 10 different languages and will be availed to all ARCs and HIV support organization in Belgium and beyond. It can be downloaded freely at http://together.we. understand.oksigenlab.eu. The authors committed themselves to promote and distribute the brochure in their social networks, their HIV clinics, their family physicians, and some in asylum centers.